Learn how each S.P.E.C.I.A.L stat helps your dwellers while exploring outside the vault. All of the information within this guide has come from the Fallout Shelter Wiki and my own personal experience of the game. This guide was created as an easy-reference list. Increases damage of equipped meele weapon. Increases the amount of loot the dweller can carry. Increases the chances of opening lockers - which will result in more loot (check your dweller's exploration journal). Affects the speed of the critical hit indicator. Higher Perception levels make the indicator move more slowly. Helps your dweller discover new locations for you to explore. Helps your dweller discover items and loot. Increases maximum amount of health. If Endurance is over 11 (with the help of an outfit) the dweller is no longer affected by radiation. Increases the chance of a positive outcome from conversations with people met during the quest. This can result in more loot or Caps, or even avoiding conflict. Improves encounters with people met in the Wasteland (check your dweller's exploration journal). This results in more loot, Experience Points or Caps. More likely to find Stimpaks and Rad-Away. Your dweller is more likely to notice the weakness of a difficult enemy. Results in increased damage against certain creatures. 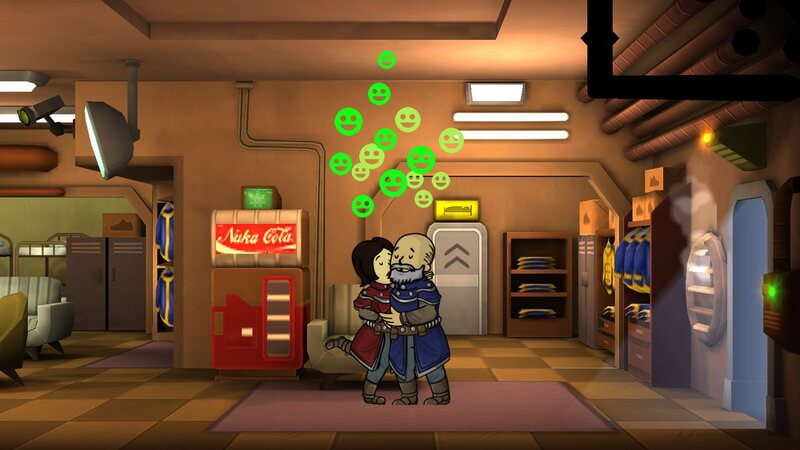 Improves the outcome of certain interations with people in the Wasteland, such as helping someone who is injured (check your dweller's exploration journal). This results in more Experience Points earned. High Agility gives the dweller a faster rate of fire with their weapon. Determines how quickly you can escape from a losing battle (which will affect how much health is lost when fleeing). Affects how quickly the critical meter fills / how often you can fire a critical shot. Increases the amount of loot your dweller finds. More likely to find higher quality loot, such as rare items.